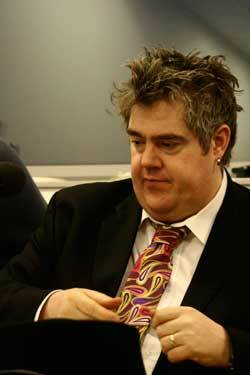 Playwright, stand-up and improvised comedian, performance poet, musician and podcaster Phill Jupitus is the longest-serving member of Never Mind the Buzzcocks. He is the host of the Times Newspaper football podcast "The Game" and was one-time host of 6 Music's breakfast show for 5 years. He has written a book about his time there, entitled Good Morning Nantwich: Adventures in Breakfast Radio. Phil also regularly appears on Stephen Fry's QI on BBC2 and BBC R4s I'm Sorry I Haven't a Clue. Phill sometimes plays with the late Ian Dury's band The Blockheads. He made his West End debut in Nick Reed's Lifecoach and has most recently played the role of Edna Turnblad in Hairspray the Musical. Phill Jupitus has just finished playing King Arthur in the tour of Monty Python’s Spamalot.